Here at Sunspace Texas, we can help add natural light and space to your home through the addition of an all seasons sunroom or a porch enclosure. But what’s the difference? Both use full screens to let in as much natural light as possible. Both sunrooms and porch enclosures provide the gorgeous views of the outdoors while staying inside and protected from any extreme temperatures. So does it matter, then, which one you choose? There are some differences, however. Here, we’ll contrast sunrooms and enclosed porches so you can decide what works best for your home. Sunspace Texas uses the WeatherMaster® Porch Enclosure System with plenty of ventilation and energy efficient vinyl glazing to keep our porch enclosures cool during the summer months. This glazing protects against harmful UV rays of the sun. There are also options for tempered glass with Argon thermals for cooler months. 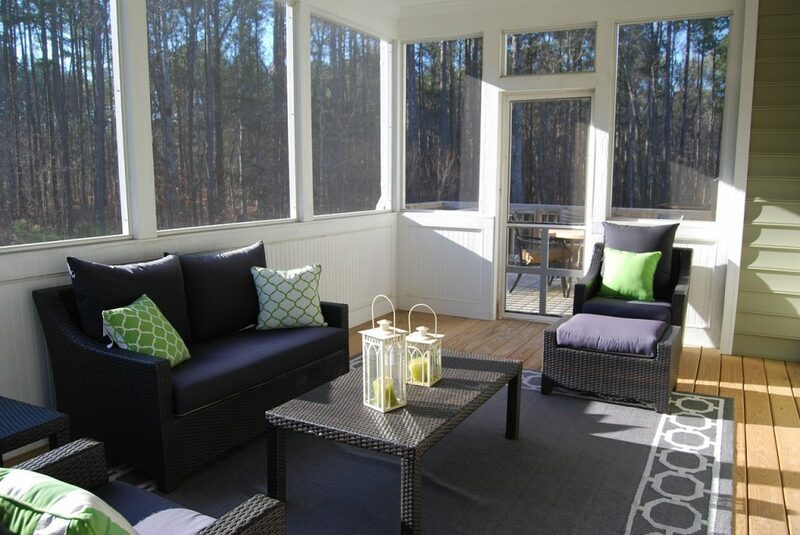 Our porch enclosures have the temperature control of a three-season sunroom. On the other hand, sunrooms are particularly designed with windows that allow the sun to heat the room during cooler months. If you plan to use your sunspace more in the summer, a porch enclosure is perfect. If you want something that will last you through the cooler months and even up to the first snowfall of the year, a sunroom may be your best bet. If you don’t feel like going out into the heat but you still want to enjoy the outdoors a porch enclosure will get you as close as possible to that indoor/outdoor feeling. The sunroom model 200, however, is the best protection against some of the unwanted outdoor elements, like bugs, extreme temperatures, and chilly winds. Our sunrooms are built with two inch foam panels and extrusions to keep out any unwanted pests so you can enjoy the sun with all the comforts of the indoors. All of our porch enclosures are installed with care and security. The sunroom model 200 just takes that protection from the outdoor elements one step further. Generally speaking, porch enclosures make for an easier, more efficient installation. Because of this, it also tends to be the less expensive option of the two. If you decide that it’s not for you, porch enclosures are relatively easy to uninstall. Sunrooms take a bit more work and are less easy to install, so they typically cost more than porch enclosures. At Sunspace Texas, we can guarantee reasonable prices for any of our installations and efficient work that’s as low stress for you as possible. We even have financing options so you can have your sunspace sooner than you expected, whether it’s an enclosed porch you want or an all season sunroom.